The 11 Federal Judges Attending the 2011 Defending and Managing ERISA Litigation Conference. The American Conference Institute assembles a yearly “defending against ERISA claims” conference usually held in New York City. This year’s conference is at the New York Marriott Downtown. If you have Multiple Sclerosis or any other disease that forced you to fight for your benefits because companies like CIGNA lied (not hyperbole) to prevent your claim, then you know all about ERISA or the Employment and Retirement Income Security Act of 1974. Unfortunately, ERISA has had negative consequences. A full explanation, written by an ERISA expert, can be found here. An ERISA Moot Court: Featuring top defense attorneys arguing some of the hottest and most common issues facing ERISA practitioners today, panels of renowned ERISA jurists will critique arguments, question our litigators and help all attendees understand how to successfully convey their positions to the court. Breaking Up Is Hard to Do: A Focus on Severance Plan Litigation including Triggering Events, COBRA Hang-Ups, and the Other Litigation Issues that Arise in Separation Situations. CIGNA had a big loss this year in CIGNA v. Amara, even though they are spinning it otherwise, so of course, CIGNA’s senior counsel, Christina McNally will be in attendance at the conference. Fidelity Investments, my husband’s former employer, is listed on the last page as being in attendance as well. I could not find a name though. Last year it was their very own senior counsel, (and Paul’s fellow Boston College alum) Laura Tholen. Here are the names and districts of all the federal judges who are attending this year’s conference. And here is a link to the PDF of the 2011 conference. If you are fighting for your claim, and see your judge, send them a letter. Tell them that you know what they’re doing and that it certainly does not appear impartial. 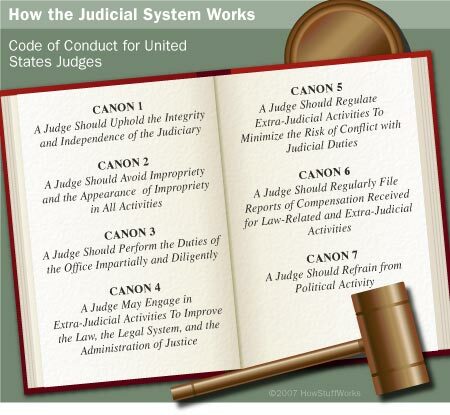 Here are the Codes of Conduct for United States Judges and be sure to ask about CANON 3: A JUDGE SHOULD PERFORM THE DUTIES OF THE OFFICE FAIRLY, IMPARTIALLY AND DILIGENTLY. Hon. Daniel E. Knowles, III U.S. Dist. Ct., E.D. La. Hon. Morton Denlow U.S. Dist. Ct., N.D. Ill.
Hon. Matthew Kennelly U.S. Dist. Ct., N.D. Ill.
Hon. William S. Duffey, Jr. U.S. Dist. Ct., N.D. Ga.
Hon. Viktor Pohorelsky U.S. Dist. Ct., E.D.N.Y. Fernando J. Gaitan, Jr. U.S. Dist. Ct., W.D. Mo. Hon. Timothy C. Batten, Sr.U.S. Dist. Ct., N.D. Ga.
Hon. Richard G. Stearns U.S. Dist. Ct., D. Mass. Hon. John Coughenour U.S. Dist. Ct., W.D. Wash.
Hon. Robert B. Collings U.S. Dist. Ct., D. Mass.